Investing in my health means being honest with myself about what I put in my body. As I ordered my Starbucks Grande Caramel Macciato on Sunday for my “cheat day” I had to wonder what choices I’m making for myself. Sure, Starbucks is delicious but not any kind of investment in my health or my wallet for that matter! 1. The truth about “sugar free” syrup So first things first about going to Starbucks, they advertise making their drinks more healthy (less calories, sugars, carbs) by ordering them “skinny”. This means using sugar free syrup and skim milk. It really surprises me to see on Instagram that a lot of my weight loss/bariatric friends post their favorite Starbucks drinks which include up to 10 pumps of SF syrup. Say what? Now, I promise you I am not judging anyone with what they order or where they chose to save calories or whatnot. What is really concerning is how society makes SF seem so tempting and makes us think we are making better choices. Still with me or just think I am secretly judging you? 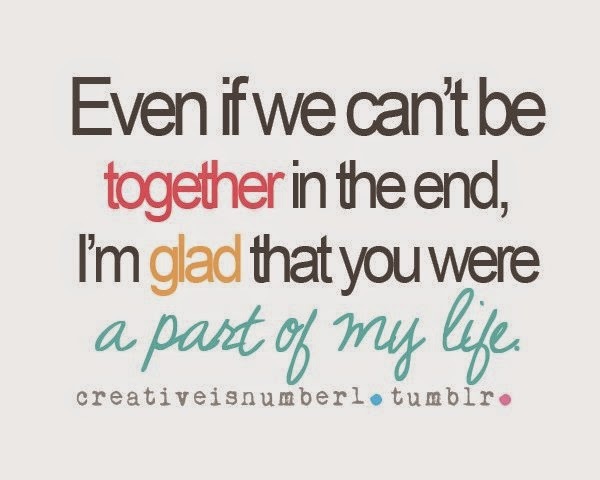 Hopefully you’re still reading and giving me a chance! So it was only a year and a half or so ago that I really understood why SF products weren’t for me. My favorite Starbucks drink was a grande skinny caramel macciato, SF syrup and skim milk and I loved it. I thought it was an obviously better solution to the calories in the more sugary drinks and I could still enjoy a caffeine pick me up. So why is SF bad? Isn’t better to have no calories or carbs? That’s a good point but don’t you wonder what’s in there? Chemicals. That’s what’s in there. Chemicals that are not good for the body. In fact, they often increase your appetite for sugar because the brain still thinks it’s getting sugar, I think The Skinny Confidential’s post on Starbucks sums it up perfectly. You can also check out this article on Starbucks SF syrup. So that means no skinny lattes for me. 2. Soy milk I love ordering a cinnamon dolce latte with soy because I don’t have dairy (paleo) if I can avoid it and I like the added vanilla flavor. That right there is a problem because what makes the vanilla flavor are chemicals, which obviously are just as bad as ordering SF syrup. Foodbabe posted a great article on Starbucks Pumpkin Spiced Lattes which went pretty viral and changed a lot of people’s minds about ordering them. Once I read her article, I never ordered one again. But it really should have sunk in more about what is in their soy. Carrageenan is scary and when you start reading about it, it definitely makes me rethink my ordering. Really, this makes me rethink soy in general. 3. High amount of sugar and carbs. If I could just drink black coffee life would be great. Granted I would still have to worry about the pesticides that apparently are contained in the actual Starbucks coffee (and other places) I’m sure but I don’t know how extreme I am yet so I would probably still drink it. Since I love sweetness and my favorite drink is a grande cinnamon dolce latte, I am getting 260 calories with 44g carbs and 38g sugar. Love ya Starbucks but that is not worth the work I’d have to do at the gym to make up for it. 4. The cost. Let’s face it, I don’t need to pay for bad nutrition even though I love the baristas and the way the coffee tastes. I would rather go to a CorePower class or two or buy something cute than waste money for empty calories. With everything in my life I want to buy and the money I would love to save for retirement and whatnot, I just don’t need to spend money on a want like this, when it’s definitely not a need. So, until I can learn to love an unsweetened coffee and deal with adding some organic stevia, which I don’t really enjoy, I am going on a break. My wallet and body will thank me. I can always grab a tea if necessary and add some of my own honey if I want something warm. Plus, I really need to make sure I drink even more water because when my lapband is tighter I am less thirsty for some reason. This doesn’t mean I will never have Starbucks but it will truly become a treat for me. I will instead be using my Life Factory water bottle more, adding some cucumber and enjoying the hydrated and healthy life. Plus, if I am really missing coffee in my life I will try The Sweaty Bettys Bulletproof coffee that she has been drinking and enjoying and that I’ve seen on some paleo sites. The best is yet to come: my 2015 goals! Well, so much for blogging more during the holidays! Really though, like everyone else, there was just so much going on. Sometimes I feel guilty that I don’t have any children and work normal hours and still don’t seem to have time for everything I want to do. Thinking about all the things I want to do and need to make time for naturally got me thinking about the upcoming year and the goals I am setting for myself. Since accountability is a grand thing indeed (and sometimes the devil), I am going to post my goals and hope you all can help keep me on track in the upcoming year! Normally I might just say I’d like to lose another 20lbs and be done with it but that is not the goal I have anymore. My goal is really and truly to be healthy. To invest in my health. To look at what I am eating and really care about what I am putting in my body and how it will affect my future. 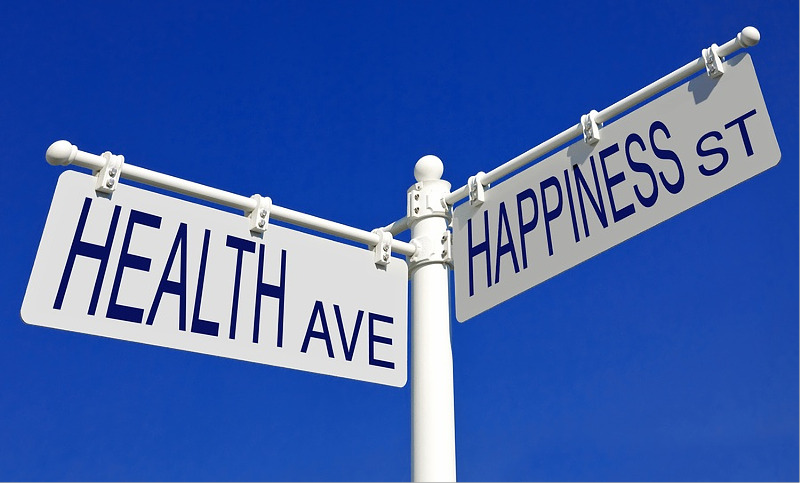 So how can I consciously and consistently invest in my health? How much am I willing to give, of myself, of my finances, and of my time? Because that’s really what it comes down to, the changes that will effect where I go, how I shop, how I feel about myself and so much more. 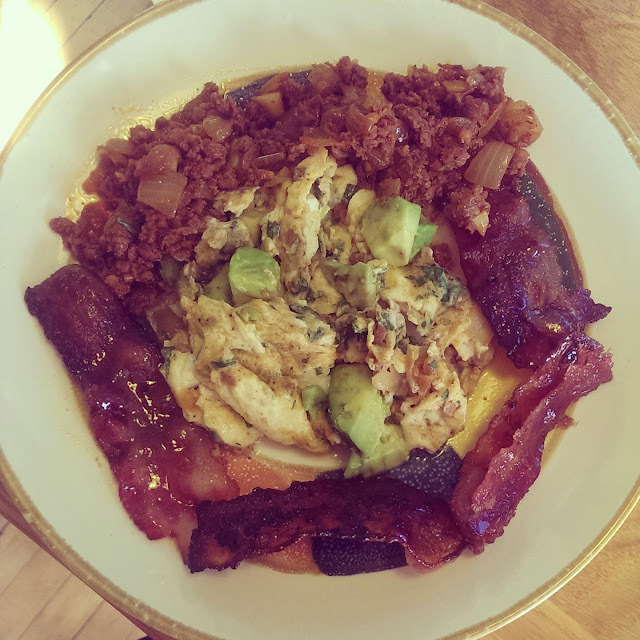 One of my favorite things about eating healthy and following a Paleo diet is that it is 80/20. So you try to eat 80% of your meals following the guidelines and then 20% of your meals are whatever you want. By allowing a few meals that aren’t paleo and working with moderation, I am able to be realistic about my food intake and goals. 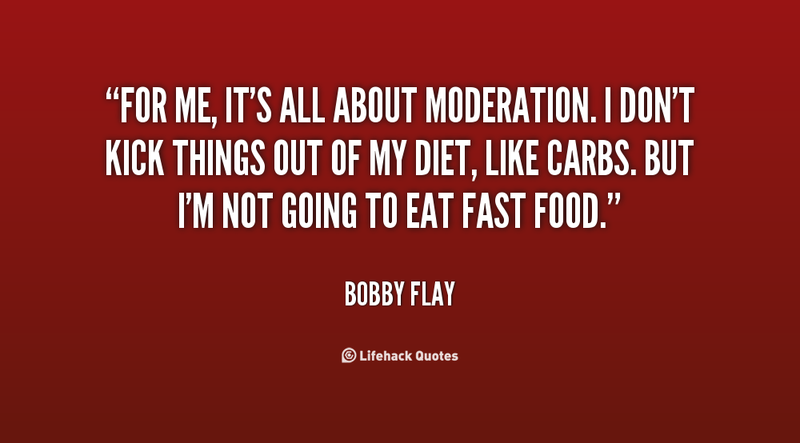 I love the above quote from Bobby Flay because it’s simple but to the point. I don’t need to eat fast food; there is nothing good about it for my body and quite frankly, I don’t enjoy the taste at all. That doesn’t mean I am not going to eat a decadent desert but at least if I am going to eat decadent I will use better quality ingredients than just junk. 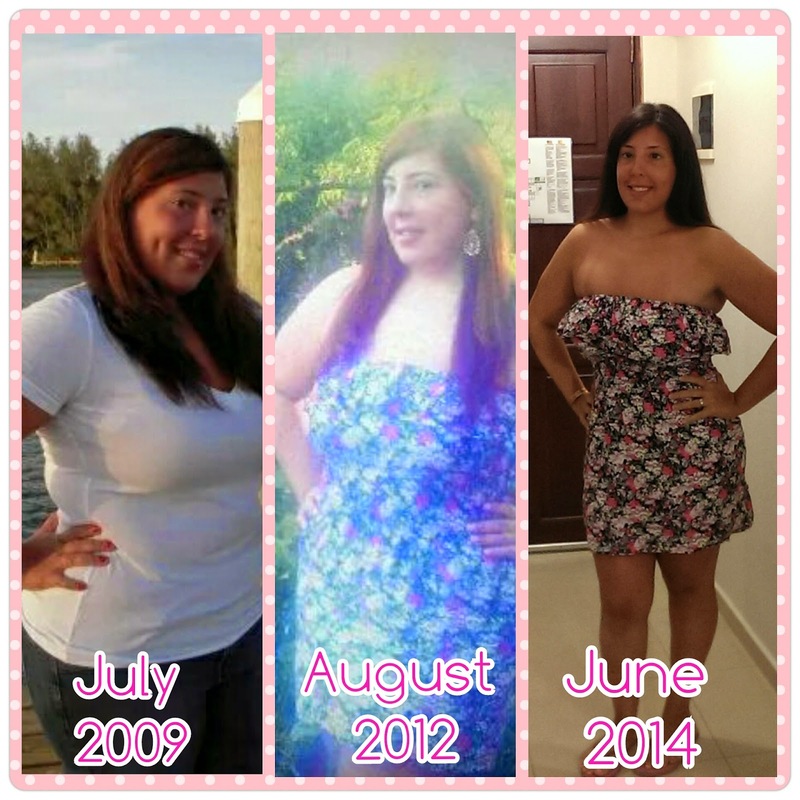 I want to be able to not let food control my life and over the last two years I have made that change sucessfully. Step 2: Don’t beat myself up when I am not perfect. Eating moderately helps me maintain a healthy relationship with food. I don’t break down if I have a brownie, I just make sure I don’t have one with every meal or make sure I hit the gym a little harder. I am not going to be perfect and I am more than okay with that. Perfect means that nothing needs to change and I always want to change, grow, and keep learning. So I am going to recognize there are moments I will fail and will eat something awful. I will not always make it to the gym for as many days as I would like that week. It’s inevitable. What I will strive for is accepting these moments and remembering that Scarlett O’Hara was a badass who never quit and always knew that “after all…tomorrow is another day”. This doesn’t mean that I will think my excuses are valid but it allows me to look at why I made a mistake and learn from it. Maybe I didn’t got to the gym because I was so tired and had to listen to my body. Maybe the reason I am so tired is because of lack of sleep. That lack of sleep causes my body to not function as well as it could and leads to overeating as well. So what I learn is to get more sleep and listen to my body. I made mention above about following a Paleo diet. A Paleo diet means not having grains, dairy, or artificial sugar. There are a lot of nuances about it and different people follow different levels, much like there are pescatarians, vegetarians, vegans and so on. I have been pretty bad about following this lately so I need to get back on track. So starting January 2nd I will resume my 80/20 Paleo lifestyle which means: no dairy, processed foods including sugar, no legumes, starches or grains and no alcohol. Instead you eat lean meats, seafood, fruits, vegetables, nuts/seeds, and healthy fats, You can check out Nom Nom Paleo for more info! Cooking at home and meal prep is the best tool to stay on track and eat paleo. It also saves money so it’s a triple threat. Plus, watching JoeyWaffles cook, grill, and try new recipes is pretty hot. When I followed Paleo consistently I was leaner, had more energy, and really just overall felt better. It’s little changes that can make a big difference: making my own maple bacon instead of buying the Oscar Meyer version; reading the back of everything I buy so I know what I’m putting in my body; and just staying away from unnecessary foods like Doritos, fast food, and such. I still will have a Reese’s or enjoy a Coke Slurpee but it might be once a week or every few weeks. It makes me feel better when I know I am giving my body good fuel and investing in a better future. Sometimes I think like the girl who weighed 80lbs more and feel a compulsion to order a ton of food. I usually remember I am not and start to order like a normal, average, adult. Usually after the fact when it’s too late to change my mind, I remember I have lap band and need to only eat a kids size portion. 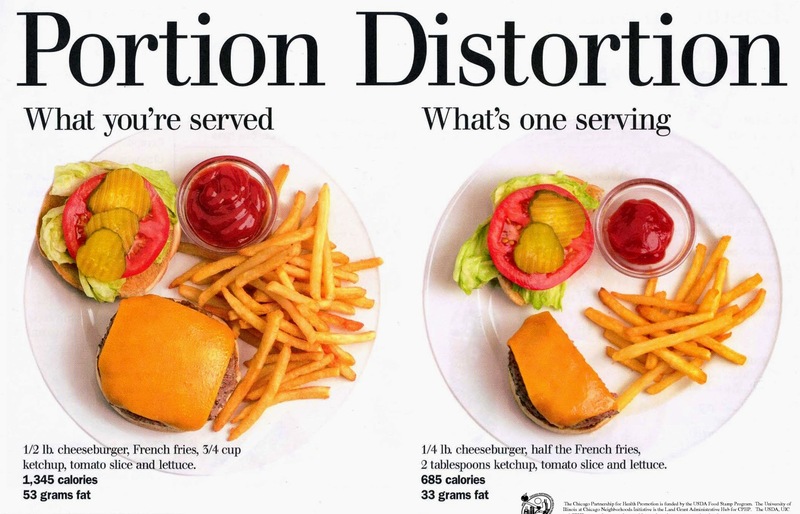 It’s kind of crazy to think that often, especially going out, a kid’s size portion is really more appropriate for an adult and that we really have huge over sized meals. It’s not even about over eating, it’s really about wasting food and money because I never eat what I think I’m going to and end up wasting it or giving it to JoeyWaffles. That doesn’t work because it means he ends up eating a meal and a half which isn’t good for him either and I want his health to be optimal as well (total Rick word!) So I resolve to order more appropriate sized meals when I do go out and when I am home, use a smaller plate and grab smaller sizes. Yoga is amazing. I am so lucky the company I work for offers it once a week thanks to our amazing CEO. Without my work offering it I would have never tried it and found out how truly amazing it is. Everyone is all about weights and I think they have their place but simply adding yoga into my routine has made a huge difference in my muscle definition. Yoga makes your body flexible, stretching alone has so many great benefits and when you add in the peace of mind, it really is something special. Being able to take an hour out of your day and connect with your body and mind is special and often something we neglect. 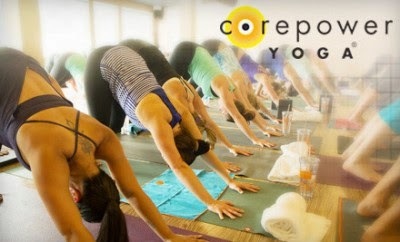 I have a great CorePower Yoga near my house and my goal is go there there a few times a month in addition to my practice at work. The first month of two or even three of doing it I was still unsure if I was doing it right of some of the moves but the great thing about yoga is no one is judging you because they are all in their own state of mind and thinking about themselves (in a good way). I can’t believe how much more flexible I am and how much I enjoy my body after yoga. So treating my body better doesn’t just involve the food I do or don’t put it, but how I use my body as well. As White from America’s Next Top Model once said, “my body is a temple…and my temple wants cheesecake” Mine too girl but sometimes it wants yoga as well so I feed it both! Steps 7, 8, and 9: Stay Organized, Buy a Meat Cooler, and Keep on smiling! These are really simple little odds and ends I would like to accomplish. I strive to always stay organized and keep the house clean (enough) and not become a pack rat. JoeyWaffles hates throwing things out but has gotten a lot better so the house is coming together. Along with cleaning I would love to be able to buy into a meat CSA and have a cooler for meat so we only use that. It would be great to know exactly where our meat comes from and have access to quality food all year round. This also includes hitting up the Evanston farmer’s market more. Along with these changes I just want to keep having a happy and positive attitude and keep on keeping on. Life is what you make it and I want to keep on living, loving, laughing, and learning. 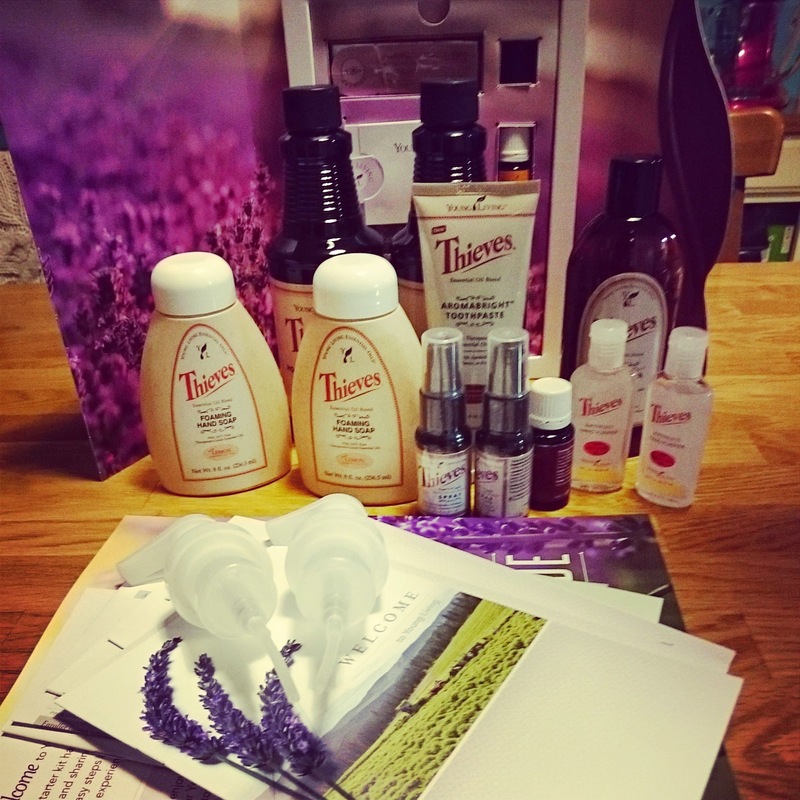 I can’t wait to make one of these for 2015!! So, what are your goals? What are you hoping to accomplish in 2015? So cooking is something I’ve never been very good at. My family all are great cooks and there’s just never been a need to really learn until recently. I’ve learned it’s more fun and better on the budget to cook for two. JoeyWaffles and I cooking started more in the last year and it’s going well. We try to eat little to no bread save a bagel here and there, low sugar, minimal dairy, basically a modified Paleo. Being healthy is something we both actively strive for so cooking at home is a great way to make that happen. Everyone says that eating healthy costs more and while that is true, it’s an investment in your health and future. Trust me when I say you don’t have to break the bank to have a meal that’s tasty, healthy, and look fabulous. Here are 3 dishes that are under $20, healthy, and easy to make! So everyone needs a go to dish. Something you can bring to a party or a potluck that everyone likes and makes you a hit. So what’s my easy go to? 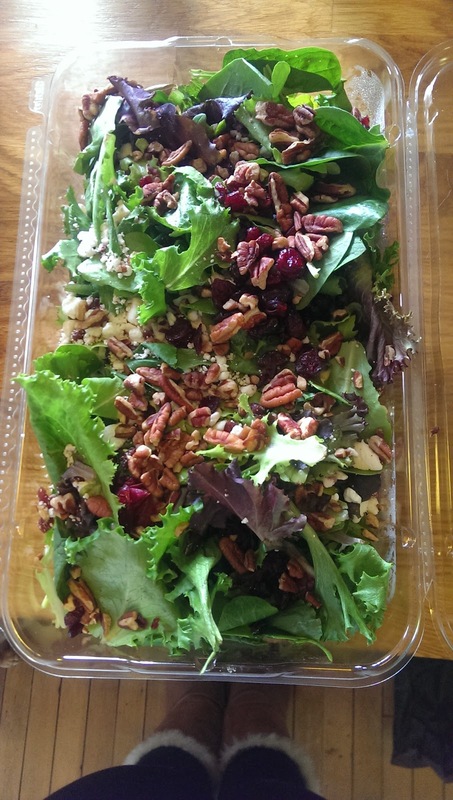 This under $20 Cranberry Goat Cheese mixed green salad with pecans. So how do you make it? Easily. Very Easily. For presentations sake, I don’t mix this but put the ingredients on top. -sprinkles pecans, cranberries, and goat cheese on top. As you can see above, that took me about 2 minutes to make and I didn’t even take use a different container. Place in a fancy dish and you are all set! First, I figure out the nearest grocery store to me on my way home from work/the gym. I go in, grab a my ingredients: steak, an avocado, and some cous cous. I pick a small but good steak, usually grass fed/organic, I eat a lot less because of lap band and I always want quality over quantity. An avocado completes any meal in my opinion. You can get out of the store for under $20 even at Whole paycheck Foods, I usually have a glass of Pinot Grigio or Tempranillo in my fridge but feel free to skip the wine. 1. Follow directions on cous cous box. Usually involves boiling water with some olive oil and the spice pack. I use Near East Roasted Garlic and Olive Oil. 2. Chop 1-2 cloves of garlic. 5. Flip steak and repeat. 6. Grab a pan and turn stove on medium heat with a little olive oil, I lie adding a little lime juice over mine but that’s a personal preference. Try it once to see. You will no be disappointed. 8. Place steak in hated pan. 9. Start cutting up avocado. I l ike garlic salt and lime sprinkled on mine but it can be plain or even with some lemon juice and/or salt. Again, a preference. 10. Cook steak 3-4 minutes on each side should get you to a medium rare, add more time to get your temperature preference. 11. 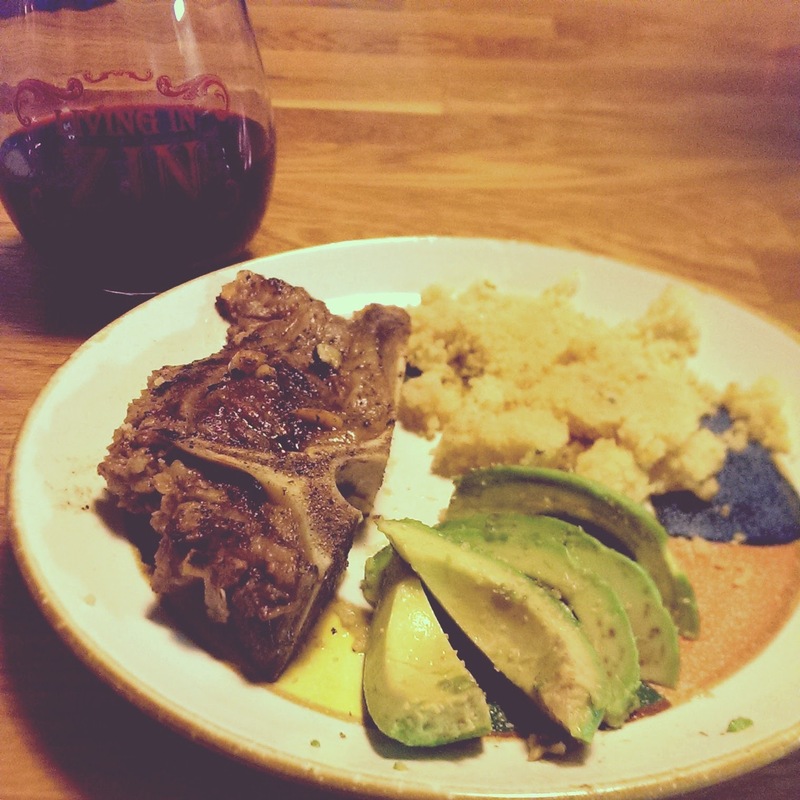 Plate the avocado and cous cous. 12. Add the steak and enjoy! I love any and all seafood. I guess this is from my Italian side because my Dad absolutely abhors any kind of fish. This just means at the Japanese steakhouse I get his shrimp which is a win for me. A quick and easy seafood meal is great for being low cal and delicious! 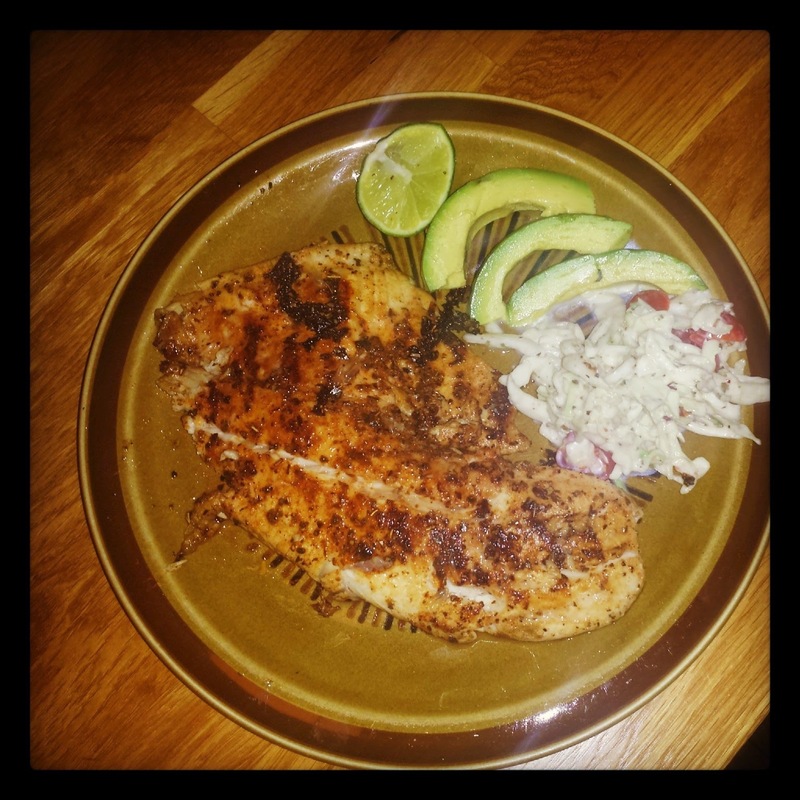 Tilapia is great dinner and easy to cook without smelling to fishy. 1. Chop us a quarter to half of a cabbage and out in bowl. Otherwise use the pre-shredded stuff. 6. Put in fridge. Doesn’t matter covered or not since it will only be there about 15 minutes. 11. Add filet and cook on each side for about 3-4 minutes, until flaky. I like a char so I use a higher heat for about 3 minutes. Put on plate. 13. Take Israeli salad out, mix, plate. 14. Eat and enjoy! Use lime juice for added flavor. Simple easy meals are the way to go to stay healthy and well fed. When you start cooking and realize how easy it is, it becomes a lot easier to make a great meal at home with fresh meat/seafood than go to a restaurant where half the time it’s poor quality and frozen. When I do go out to eat, I make it count and this weekend was no exception. Joey took me to Sabatino’s on Sunday night and I had amazing garlic tilapia and a nice glass of Pinot Grigio followed by a decadent chocolate mousse cake. Quality food in a romantic setting made for a wonderful Sunday night. Sunday morning was even better. JoeyWaffles went to t-mobile with his brother and took my phone while I went into home goods. I assumed he was asking about a new case or battery life or something with our plan. I met his up at Potbelly’s and he told me he got me a new case. He handed me my phone in a new case and then I realized it wasn’t my phone, it was the new Sony Xperia Z3. Besy boyfriend ever. I love surprises and I have been getting sick of my phone since I have too many pictures and no memory card slot. Sabatino’s + new phone + seeing our friends Rick and Sara who came in from Indy= a perfect weekend. So how about you? What are your easy to make go to recipes? Anything fun happen to you this weekend?